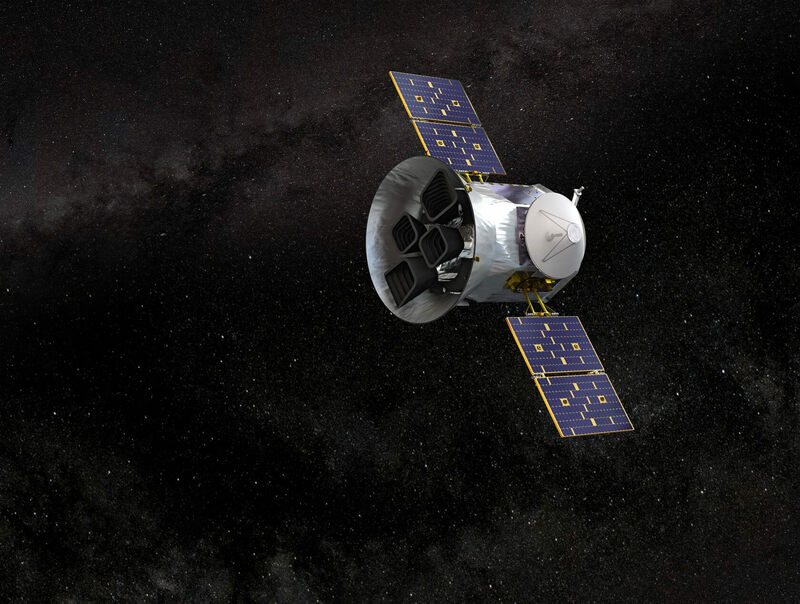 Last year, NASA launched its latest planet-scanning probe, known as the Transiting Exoplanet Survey Satellite (TESS). as the name suggests, the TESS' primary mission is to discover and survey exoplanets, which are planets outside our solar system. Specifically, the TESS is looking for Earth-like planets, in the hopes that data it provides can help scientists find worlds that are capable of supporting life; human or otherwise. The TESS' predecessor (the Kepler Space Telescope) ran out of fuel a couple months after the new Satellite launched, making its success all the more important. Almost a full year after the start of its mission, the TESS has finally found its first Earth-sized exoplanet: HD21749c. It's not the most inspiring of names, perhaps, but for the purposes of science, it'll do for now. Unfortunately, HD21749c may be a bit of a dud when it comes to sustaining life. NASA says the planet is extremely hot due to the proximity of the sun it orbits. H21749c's surface temperatures could be as high as 800 degrees (Fahrenheit). Given that its surface is likely to be very rocky and its temperatures are far beyond anything modern humans could withstand, we shouldn't expect to start colonizing the planet any time soon. Still, we look forward to seeing what else the TESS will discover during its hopefully-long life. I wonder if a refueling mission for Kepler would be feasible. It sounds like such a mission would be costly because of the distances involved in its orbit. I do not know for sure, however, it would not surprise me if TESS is substantially more advanced than Kepler. I got excited and then I read this : "But it probably can't sustain life".. Not cool techspot. Not cool. If it can't sustain life because it's too close to its star then it's not really an earth-like planet, is it? Kepler didn't need fuel as much as it needed additional functional gyroscopes. While Kepler did run for its official lifespan, NASA has created something of an expectation of excessive longevity with a lot of their recent robotic missions. When Kepler's 4th gyro failed shortly after original EOM, that was quite a disappointment. At least the creative people at JPL/NASA kept it going longer with the altered but still valuable K2 extended mission which only needed the last 2 gyros, plus the solar wind. By their definition, Venus has long been Earth like in terms of size. Is it possible they could use the system they just used to take pictures of the black hole on this? Exactly.... This astronomers be calling these exoplanets earthlike planets due to their size and cause they rocky.... Stop it! We already have enough of that. Which astronomers are calling it earthlike? Sone of the press is calling it earthlike. NASA is correctly describing it as earth-sized. The astronomers that I know . I don't believe the title was misleading (it's literally describing what happened), but I also can't tell if you're joking or not. It is not a misleading tittle , my bad if my comments makes it seems like it. I guess I just get too excited when seeing news about new planets being discovered cause' I dont believe that all this ( Universe) exist for just us humans. No worries, I wanted to open myself up to criticism if there was something wrong with the way I worded it. I agree - I think there's definitely life out there somewhere, but I have no idea how long it will take to find it. Hopefully in our lifetimes. So perhaps somebody is doing the same. Preparing to extend their life somewhere else or leaving a diyng planet or a solar sytem. Also there is a reason to stop humans killing an unique place in the Universe too. Questions are - what they are, how good they are prepared and how far they are ready to go in getting such sweet seat like the Earth? Only that the idea to find Earth-like planets is perfect, sure. Nvm, misquote and bad post.